February has arrived finally. January seemed so long for some reason and I am very happy that the new month has arrived and that I can share our results for our January Comments for a Cause. Our cause in January was the Dementia Society of America. As many of you know my own mother suffers from dementia so this has definitely become a cause that is near and dear to my heart. To enhance the quality of life for those living with Dementia, caregivers, and the community! 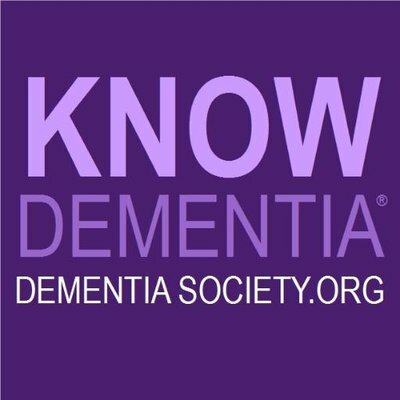 I am happy to be able to donate a little bit to help this organization with their efforts and with your comments this past month Chris and I will be making a donation of $200 to Dementia Society of America. Thank you to each and every one of you for taking the time to read and comment. Without you this would not happen and I am truly grateful to each of you. I decided to go local this month and find an organization that helps animals locally. Pisgah Paws (Pisgah Animal Welfare Society, Inc.) is a fairly new organization that is making an impact in the area. PAWS is a 501(c)(3) nonprofit organization dedicated to improving the welfare of animals through compassion, care, and community involvement. PAWS has several programs that it supports and works closely with other pet care agencies in the area. One of the programs that I love is their Barn Cat Program. PAWS saves feral cats and places them in outdoor homes instead of having them be euthanized. Feral cats are usually not cats that can be socialized but they are wonderful if allowed to live out their lives someplace where they are not a nuisance and where they can actually live the life that works for them. PAWS also has adoptable pets that can be viewed here. There are a lot of great pets available for a very minimal adoption fee. Cats and dogs are both available. The organization also supports and helps with spay, neuter and trap release neuter programs. I have see PAWS volunteers at our local festivals and they always have a smile on their face and are working for the best for all of these animals. Other ways that people can help besides adoptions and donations is by simply volunteering in a variety of ways. They always need foster families and help with transportation. It seemed only right this month, a week after we lost our own Buddy, to support a local animal agency that truly has a heart for helping our furry friends. For every comment on the blog during February Chris and I will make a 50 cent donation ($500 cap) to PAWS to help them in their efforts to help the animals in our area. I think Buddy would approve, don’t you? Perfect way to honor Buddy! Thanks, Virginia. I think it is the best cause to honor him as well. Wonderful cause this month (of course, they ALL are). And yes, Buddy would definitely approve. Thank you Dianna. I think it is perfect as well. 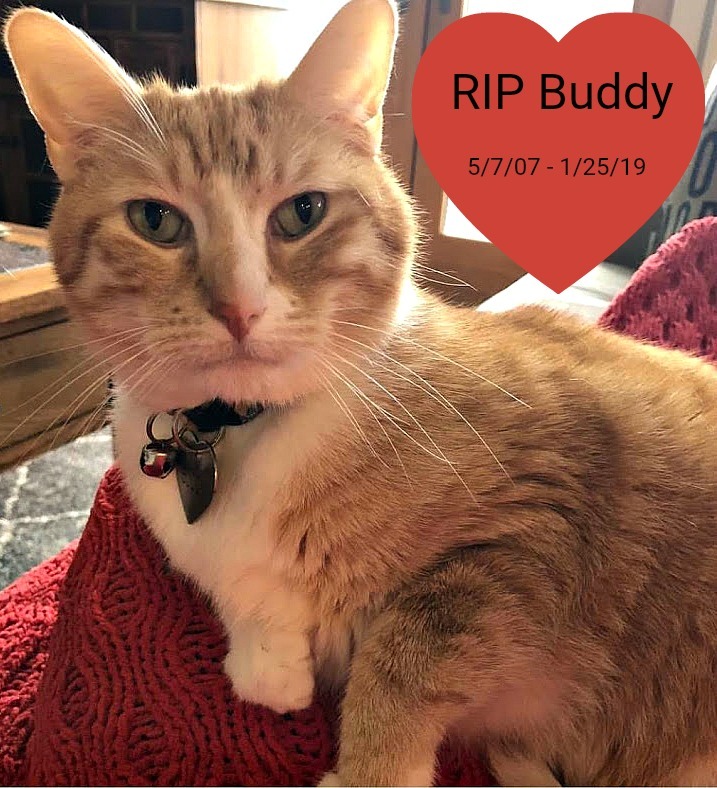 What a wonderful way to honour Buddy and all the kitties who have crossed the rainbow bridge. We have PAWS here in Spain too, no doubt a different organization but they have used the same name. Thanks, Darlene. I am happy to be able to support them a little bit. You always choose causes that we can truly care about. Thanks! Thank YOU for always being such a faithful follower and supporter of my causes. It means a lot. Very good choice, Beth Ann. Cori used to foster for just such a shelter in Florida. It was in Fort Walton Beach and was called SOCKS (Save Our Cats and Kittens). She and Mike and Robert would foster expectant momma cats and help them and their kittens be ready to join families. It was very challenging but she loved it. I have thought about fostering but Holly is not very agreeable to other animals and I don’t want to stress her out any more. What a great thing Cori and Mike and Robert did –I can imagine it was challenging. This is such a fitting way to honor Buddy. Thank you for your ongoing generosity to many causes. It seemed like the right cause this month and yes—I think it is a fitting way to honor Buddy. Thanks for stopping by as always. I know Buddy is smiling and very pleased with his Mo & Dad. I am still amazed at what a giving heart you and your husband have. God bless you both. Thank you, Shirley. And thanks for always being such a wonderful commenter! Sorry should be Mom and Dad.